It's been a Thrill playing the best Bachelor & Bachelorette Pad music and Crime Jazz on Ultra Lounge for 11 1/2 years and it now comes to a sad but understandable close today on KRUU. Yep, I thank all of you for listening and James Moore for steering this great music and talk show ship. I also thank all those adventurous young composers in the '50's and '60's who gave us their noir-ish "cloak and dagger themes and incidental music mixed be-bop and big band with west coast cool and latin jazz" creating the ultimate soundtrack for high living. A great laid back relaxing time that was revived in the '90's to a new generation of lounge lizards and remains as hot and steamy to this day. Will see you around sometime, somewhere. Remember, Stay Well and Live It Up! How do you condense 60 years of spectacular Film Music into an hour show?! I'll try by highlighting some of my favorite composers and their scores from the Golden Age of Hollywood to contemporary whose music has been acclaimed and esteemed as enduring gems in the movie industry. Bernard Herrmann; Danny Elfman; Jerry Goldsmith; Miklos Rozsa; James Horner; Thomas Newman; Maurice Jarre; Howard Shore; Alexandre Desplat; Ennio Morricone; Elmer Bernstein; Nino Rota; Michael Ciacchino; John Barry; Alex North; Hans Zimmer and Dario Marianelli are a handful of composers who have enriched the world with adventurous and sublime music. Thanks for listening all these years as we come to a close here at KRUU. If my film music shows have enriched your movie going experiences than my work has succeeded. Stay in Touch! 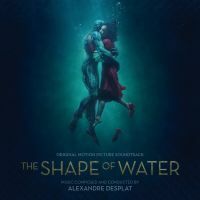 Part 2 continues with Composers John Williams, Michael Ciacchino and Alexandre Desplat's Newest Scores Highlighted and More! <!--Break-->" Tune in Wednesday 3PM for the Incredible World of Film Music! 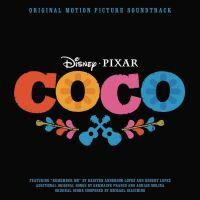 Composers John Williams, Michael Ciacchino and Alexandre Desplat's Newest Scores Highlighted and More! "<!--Break-->" Tune in Wednesday 3PM for Great Film Music! We highlight this American Jazz and gospel singer whose career spanned seven decades! I'll play several selections from her 1958 "The Story of the Blues" album. You can't help but feel her scorching heart felt soul. She passed away peacefully at age 86. Della Reese is now hailed by ALL the Angels! Tune in Wed 2-3pm in the Ultra Lounge on KRUU! From the first vampire flick, Nosferatu in 1929 to Dracula Untold, this famous villain continues to frighten, seduce and devour his victims and audiences have hardly left the theater scared for more. Well, almost, though he hasn't lost any steam in over a century. We showcase music from a dozen of Drac's best: Bram Stokers Dracula; John Williams; Interview with a Vampire; The Twilight Saga; Van Helsing; to the HAMMER Flicks to Dark Shadows and More! Sometimes, Drac gets the 'Bloodbank Blues'. Tune in for Thrills and exceptional scores Wed 3-4pm CST! You decide if these scores are equal to or better than the films themselves. Rupert Gregson-Williams "admirable job at capturing the spirit and essence of this most iconic of female characters" in "Wonder Woman"; Tyler Bates entertaining music to "Guardians of the Galaxy Vol. 2"; Brian Tyler's stylish action/adventure score that can't be understated, "The Mummy" and more. Tune In Wed 3-4pm CST on KRUU! Characters in costumes abound galore on Halloween and the enduring visceral power of music in fright films has us 'listening to fear'. Selections from "Batman"; "The Wolfman"; 4 Dracula films; "Trick 'r Treat"; "Devil"; "Fright Night"; "Phantom of the Opera"; "Scary Move 4"; "Amazing Spider-Man" and a track from the new "Doctor Strange" will embrace you in thrilling palpitations elicited inside of you. Wed 3-4pm only on KRUU!! One can't help take notice when a new John Williams score is released. His Spielberg collaboration on "The BFG" is delightful from start to finish. And Alexandre Desplat finally gets his long awaited wish to create a score where jazz meets orchestra in "The Secret Life of Pets." Also selections from "Zootopia", "Legend of Tarzan", "Alice Through the Looking Glass", "The Brothers Grimm", "Pride and Prejudice and Zombies" and more! That's Wed 3-4pm Exclusively on KRUU. "The Hateful Eight" is 87 year old Maestro Morricone's first western score in almost 4 decades and "is a masterwork of suspense and drama that harkens back to the crime thrillers and horror films of decades past." Winning the Globe trophy this year, "the music's structure may test the patience of some, but the final result goes beyond the desired effect to create a truly memorable experience." 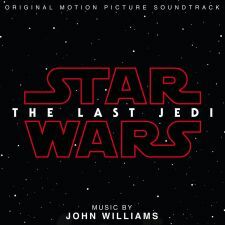 Also highlighted are selections from John Williams "Star Wars The Force Awakens"; Ryūichi Sakamoto's "The Revenant"; Daniel Pemberton "Steve Jobs"; Nicholas Britell's "The Big Short"; Carter Burwell "Carol"; Michael Brook "Brooklyn"; Alexandre Desplat "The Danish Girl" And More! Tune in Wed 3-4pm only on KRUU.